Delivery Information Place your order online Monday to Saturday before 8pm, or before 2pm on Sunday and, subject to availability*, it will be picked, checked, packed and dispatched within minutes. Once your order is on its way, you’ll receive regular updates on its progress, together with tracking information allowing you to monitor where it is on its journey. Your order should arrive the very next working day across most of the UK mainland. How much does delivery in the UK cost? Next day delivery:£2.99 when you spend over £80.00 (excl. VAT)£5.99 when you spend under £79. 99 (ex VAT) Next day delivery – before 12pm:£8.99 Saturday or Sunday delivery: £9.99 3-5 working day:£0.00 when you spend over £80.00 (excl. VAT)£3.99 when you spend under £79.99 (ex VAT) Can I get free delivery? We offer free ‘standard’ UK delivery for any order that is over £80 (excl. VAT). This takes three to five working days for delivery. How does it work for ‘Highlands and Islands’ or overseas deliveries? UK Mainland (except selected postcodes): next working day* Highlands, and Isle of Man: 2 working days* – £2. 99 (excl. VAT) Scottish Islands: 2-5 working days* – £2.99 (excl. VAT) Channel Islands and Northern Ireland: 2 working days – £3.99 (excl. VAT) * Some products are not available for immediate dispatch. See product page for details. To read more about our delivery service, zones and special rates, visit our delivery page. This was v fiddly to put together with the worst instructions ever. They seemed to apply to a wide range of lamps so more misleading than helpful. Then the top bulb flickered and buzzed and Has kept flickering and just not working.
. 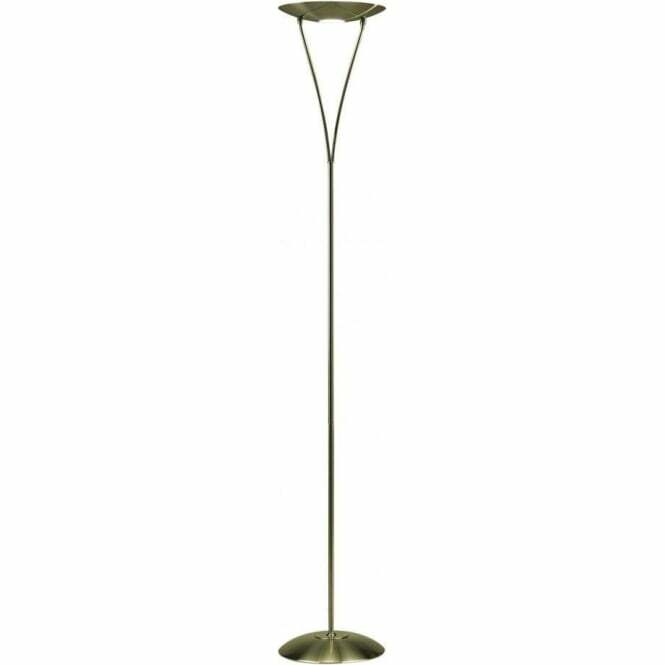 The supplier did all they could but this lamp has never worked properly, blows bulbs at a terrible rate and it is not even straight. Simply dreadful piece of crap. Dar should be ashamed. I am off to Ikea. Well made. Easily assembled and half the price of similar if not identical products available at other places. 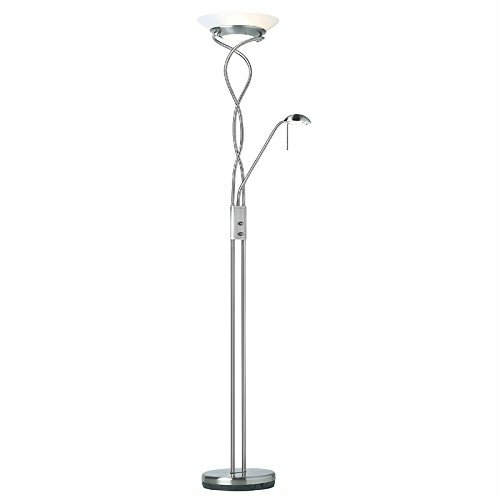 I have taken delivery of this and put it together, but there are no bulbs! 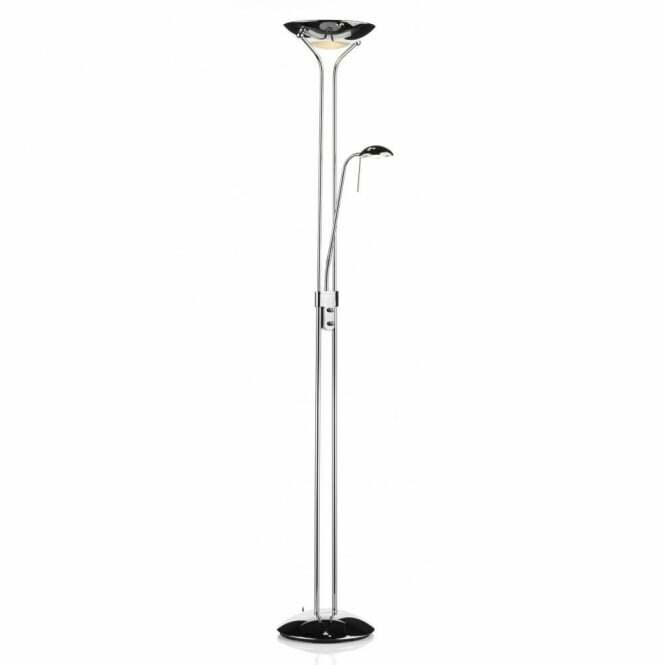 Additional Information Supplier Code MON4975 Brand Dar Guarantee 2 Years Height 1800mm Width/Dia 290mm Cable Length 1500mm Type Floor Lamp Format Uplighter Floor Lamp Technology Universal Switch Type In-Line Style Contemporary Suggested Room Living Room Max Wattage 230W – Main Light, 40W -Task Light Voltage Type Mains Voltage Dimmable Dimmable Finish Antique Brass Shade Finish Antique Brass No. 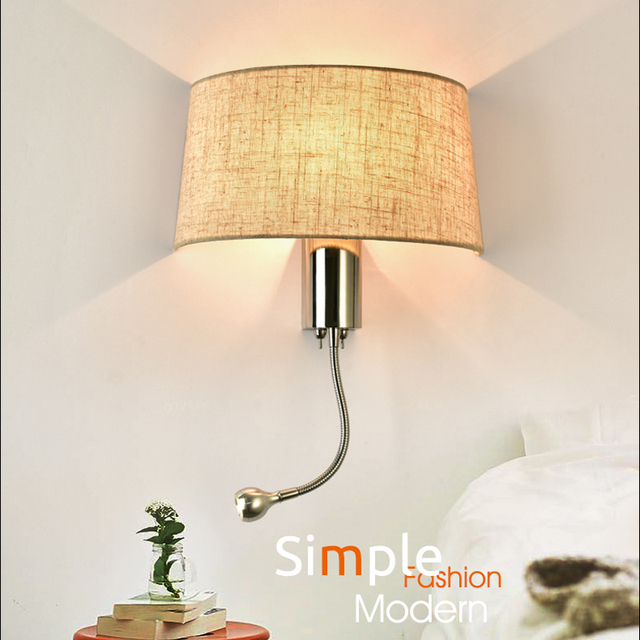 Beautiful lamp really effective and versatile mood lighting. I found it easy to assemble and the customer service excellent. Pleased with the purchase and it came very quickly. Ordered a couple of days before Christmas and it arrived before Christmas! Bit difficult to put together. A 2 person job. Looks good and the lights are very bright smaller one perfect for reading. ASINB000OQLC9S Customer Reviews 3.4 out of 5 stars 8 customer reviews Best Sellers Rank 1,100,357 in Home & Kitchen (See top 100) #707 in Home & Garden Store > Home & Kitchen > Home Accessories > Candles & Holders > Candle Accessories > Lighters #1003 in Lighting > Indoor Lighting > Lamps > Floor Lamps & Torchieres Date First Available22 Mar. 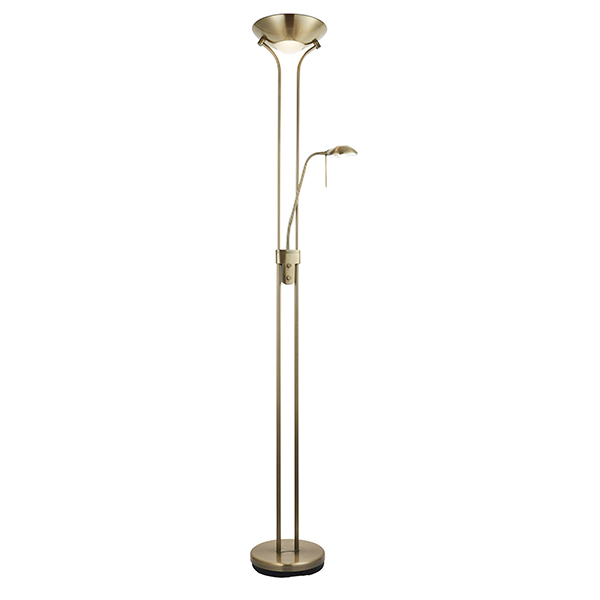 An excellent lamp with useful dimmer switches for both lights. 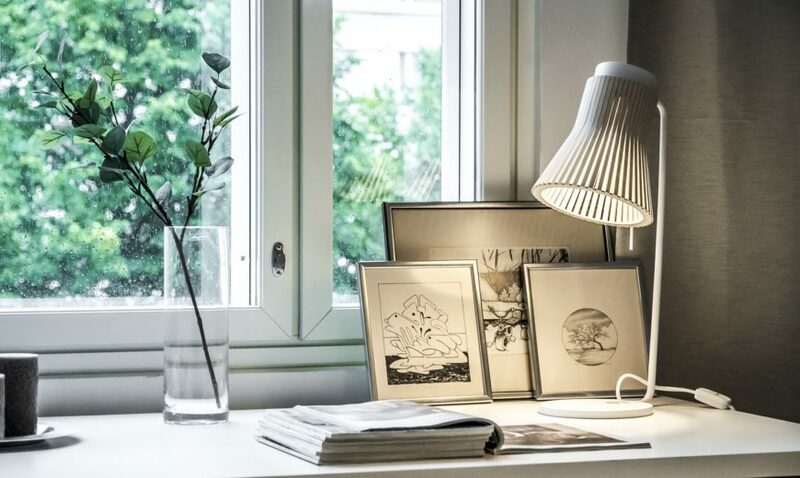 The lamp is supplied flat packed and requires assembly but I found it straight forward to assemble and it looks great in my home. 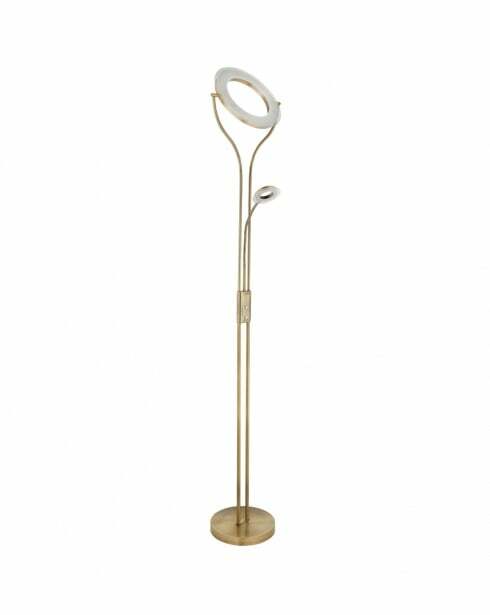 The mother light (up lighter) provides comfortable soft backlighting when dimmed whilst the child light (spot) can be positioned to give illumination where you really want it when reading. 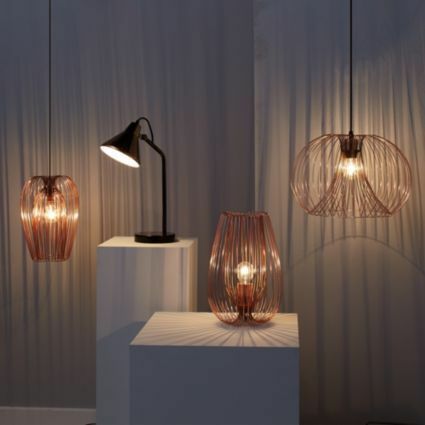 I am seriously considering buying another one or two to position around the living room.These lamps appear to be really popular; when I bought the lamp I thought I was buying something different for my home only to find that several of my friends already had these lights in their homes. All have commented how useful they are.My only minor criticism would be that the flex exits the top of the base rather than from below the base leaving a loop of flex that could be a trip hazard. 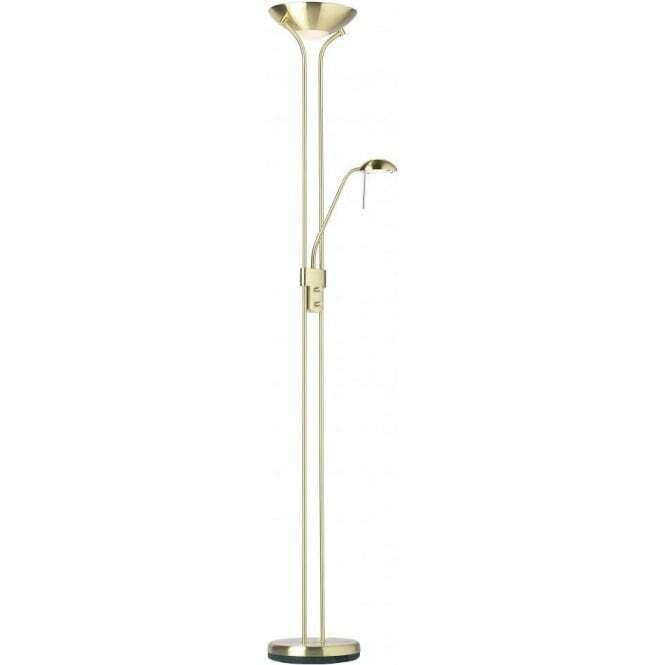 Dimmable ‘mother and child’ floor light providing both uplight and task lighting Antique brass finish with opal glass diffuser on main light for diffused down lighting effect Each light has an independent on/off switch Rotating dimmer switch on central column for main light Requires max 230W linear halogen bulb for main light and 40W G9 capsule for task light, sold separately. Add to Basket Add to Basket Add to Basket Customer Rating 3 out of 5 stars (8) 4 out of 5 stars (698) 4 out of 5 stars (121) 4 out of 5 stars (2) Price Unavailable Â£42.44 Â£41.99 Â£64.99 Shipping — FREE Shipping FREE Shipping FREE Shipping Sold By — Betta Lighting Betta Lighting JNVshop La piazza delle idee Ltd Colour Gold Antique Brass Antique Brass Brass Item Dimensions — 50. 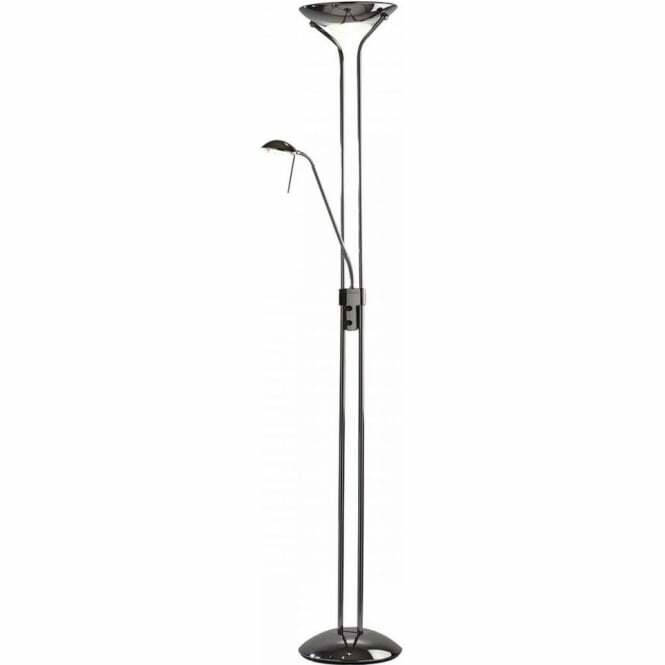 Lovely looking floor lamp, the dimmer switch went in my old lamp and I was lost with out the gentle soft lighting a dimmer switch gives…..but this lamp delivers all that, very happy with the style look and price. All in all a great buy.